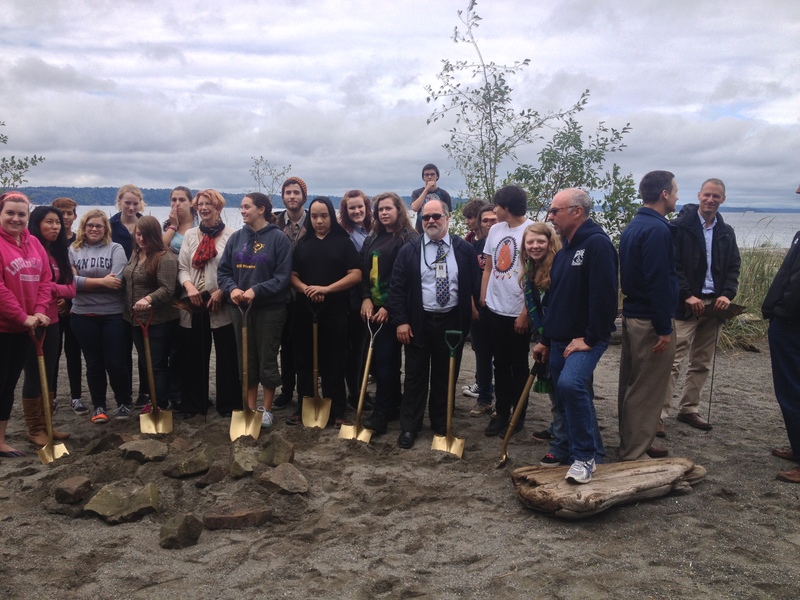 Supporters attend an event to celebrate the Burien Seawall Removal & Beach Restoration Project. The Washington Environmental Council (WEC) is a nonprofit, statewide organization that has been helping the environment since 1967. WEC has played a big part in continuing to keep Washington’s environment clean through enforcing laws, rallies, and more. We recently had the opportunity to speak with representatives from the organization, and learn a little more about what they do. Scroll below to read the entire interview. 1. How long has WEC been around? What have been some of its greatest accomplishments during that time? Washington Environmental Council (WEC) is a nonprofit, statewide advocacy organization that has been driving positive change to solve Washington’s most critical environmental challenges since 1967. WEC was instrumental in passing (and now enforcing) the foundational laws that help keep Washington’s environment healthy: the State Environmental Policy Act, the State Superfund Law, the Growth Management Act, and the Shoreline Management Act. 2. What differentiates WEC from other similar organizations? Who benefits the most from the work WEC does? WEC builds and leads partnerships, mobilizes the public, engages decision-makers, and takes legal action to enact and enforce environmental protection policy and ensure a sustainable future. We protect, restore, and sustain Washington’s environment by starting with people and communities – how we live, how we get around, and how we power our economy. We have an opportunity to create a more sustainable future that harmonizes economy and the environment for the betterment of our diverse communities. Over the last four decades, WEC has developed the expertise and strategic relationships that position us to deliver these solutions. 3. What sorts of results have you seen from projects WEC has completed so far? How have its programs or services evolved over time? Recently, Washington has broken ground on action for climate change, with enforceable limits on pollution laid out in statue, smart laws to make our buildings greener and more efficient, and standards to make our cars cleaner. 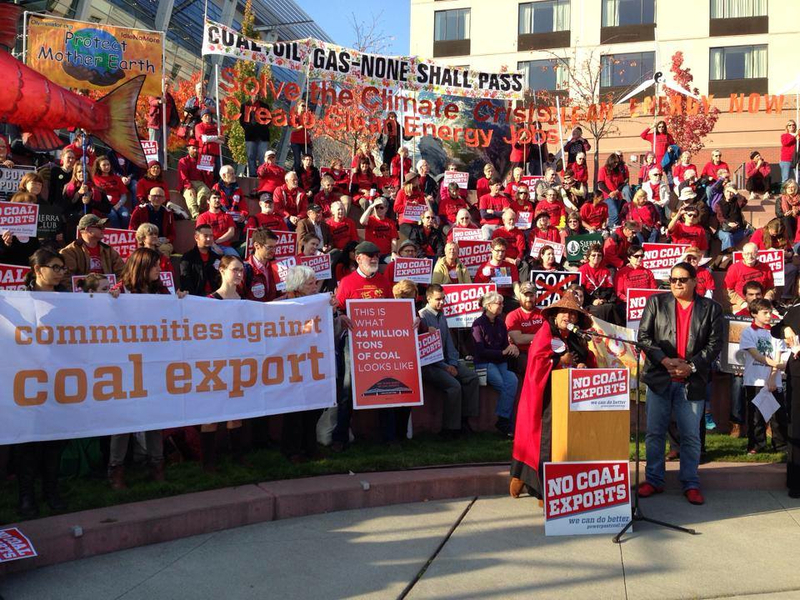 WEC has helped engage hundreds of thousands of citizens with the Power Past Coal campaign to submit a record number of comments opposing coal export in the Pacific Northwest. Our Voter Education program mobilizes Washington’s over 500,000 self-identified environmental voters, and our partnership with El Centro de la Raza is the largest bilingual Get Out The Vote program in the state. Our state’s electronic waste recycling program, created by a campaign WEC helped spearhead, collected and responsibly disposed of over 38.5 million pounds of e-waste in its first year of operation. If you look at the state around you, many of the things that people love most about Washington are protected because of the work of WEC and our partners over the last 40 years. 4. Why should people join WEC? What makes joining WEC more appealing than getting involved with other existing groups? We are on the cutting edge of the conservation movement at the state level — developing a 21st century strategy to protect our forests, water, and air. With our partners at Washington Conservation Voters, we helped found and lead the Environmental Priorities Coalition, which brings together over 20 statewide environmental groups to work together on prioritized issues in the state capitol. Our unique positioning allows us to engage the public in holding decision-makers accountable for protecting and advancing environmental policy. 5. What are WEC’s goals over the next five or ten years, and how does it plan on achieving those goals? What challenges do you expect to come up against? Transition to Clean Energy. WEC works to promote economically-smart renewable energy development in Washington and increase the use of renewable energy relative to fossil fuels. Limit Carbon Pollution. Working with partner groups, we focus on policy that reduces greenhouse gas emissions at the state and regional levels and we keep pressure on the federal government to act. Stop Coal and Oil Export. With export terminal proposals along our coastlines, we work to prevent the expansion of coal and oil export through Northwest communities. Prevent Oil Spills. To ensure that Washington’s oil spill prevention and response measures are strong, WEC is working with partner groups to stop and mitigate the major oil expansion proposals across the Northwest. Prevent Polluted Stormwater Runoff. To reduce the largest source of Puget Sound pollution, WEC advocates for an approach that better links funding and policy with clean water goals. Protect Habitat. From stream systems to shorelines, the quality of Puget Sound habitat is a central area of WEC policy work, such as working with partners to ensure policies like the Shoreline Management Act are effective to recover Puget Sound. Sustain our Forests. We’ve worked to improve management of Washington’s state forests, advocating for sustainable forestry that protects the environment and benefits all the people of the state. WEC has worked to improve the regulatory framework for logging on private forest lands. Expand our Base. Our Voter Education Program is a key resource allowing our organizers to reach out to voters who are likely to care about the issues we work on, such as stopping coal export through the Pacific Northwest. Get Out The Vote. Our voter outreach campaigns use strategic tools to advance WEC’s policy goals by helping us reach more people and, more importantly, the right people. 6. How much money has WEC raised and contributed to projects in its lifetime? What is the main source of income (e.g. donations vs. grants, etc.)? We have been operating as a 501 (c) 3 non-profit for over 40 years. Our capacity and fundraising has increased over time; right now, about 50% of our funding comes from grants, 30% from individuals, and the rest from events, endowment income, and other fundraising campaigns. 7. Do you have any anecdotes that you’d like us to share with us? Over the last few months, I’ve organized dozens of volunteers and hundreds of citizens to join together around something we care about: protecting and restoring Washington’s environment. From Olympia to Bellingham to everywhere in between, I can’t go anywhere in the state without finding passionate supporters for our environmental priorities – it’s so awesome to see! This 2014 legislative session, I’ve been a Climate Fellow with the New Organizing Institute. Part of my fellowship has been getting weekly trainings on effective trainings then having the opportunity to put that to work. I’ve run field events like weekly phone-banks and literature drops at the state capitol in Olympia. It’s been a whirlwind of activity events and we’ve been maintaining steady pressure on our legislators to support our priority bills! To stay current with WEC’s work or to find how you can get involved, check out their website.